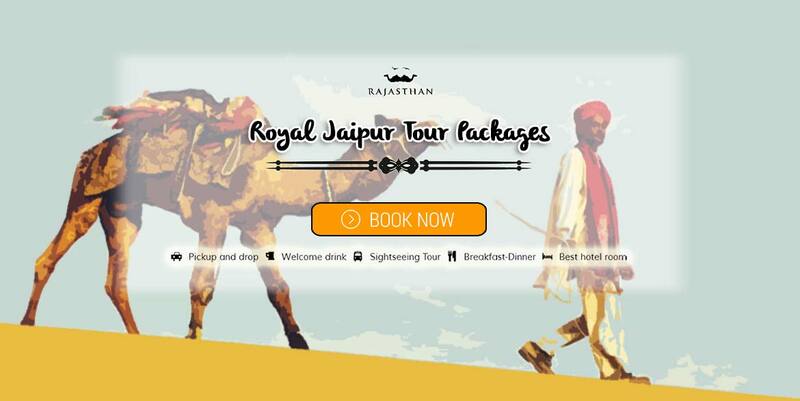 If we talk about travel and tourism packages in Rajasthan, Jaipur is one such sights where people all over the world want to take part in enhancing their knowledge on Rajasthani culture and values which it shares with the world. India’s desert state Rajasthan capital Jaipur, popularly known as the Pink City owing to the soft pink shaded walls and buildings of the old city attracts visitors with its impressive traces of a bygone era. 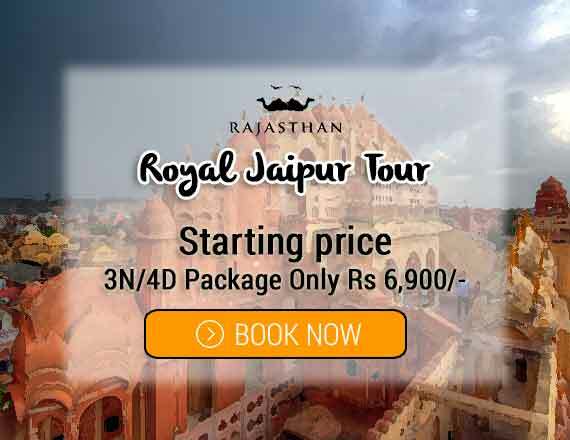 The attractions and places to visit Jaipur most popular are the ancient palaces and fortresses, with elaborate architecture which serves as a gleaming reminder of their royal heritage. Jaipur is the city of royals and Maharajas. The pink city is the hub for tourists especially foreigners in the winter season. The city possesses some of the wonderful built palaces by Maharajas. We have planned an apt itinerary for you. So that you enjoy your heart out in the beautiful city. It will be a 3 day itinerary which will include every popular place. You will be greeted by our appointed members at the station or airport. You will be dropped to your booked hotels. It is advisable to stay at a heritage hotel so you have a royal feel in the royal city. You will reach one night before your three day itinerary. So that you have a sound sleep and be charged up for the next day. Day 1: After having heavy breakfast. You will have a tour of famous places. You will start your sight seeing with the city palace. A wonderful palace with a rich Indian culture. There are museums, art exhibitions inside the palace. These things will be very interesting for you. It will take couple of hours to visit the entire palace and explore every bit of it. After this you will be seeing the Jantar Mantar which has an exclusive collection of nineteen architectural astronomical instruments. Jantar Mantar has the world’s largest stone sun dial. Then you will drive down to the Hawa Mahal. A unique five storied place popularly known as the Palace of Breeze. A place worth a visit with so many things to show. After having witnessing the wonderful scenes of Hawa Mahal. You will visit the last destination of the day sun temple. It is an unexplored temple. The sun set from this temple is key attraction to visit this temple. After seeing the wonderful sun set tiring Day 1 will come to an end. You will be dropped back to your Hotels. Day 2 will be a day dedicated to the forts. Day 2: After having your morning meal. You will have a wonderful tour of two of the most renowned forts in the world because of its architecture. You will be visiting the Amer fort and on the way you will be seeing the Jal Mahal. It is a unique Mahal with a wonderful view surrounded by water. You will be heading to the Amer Fort which is in an area of around 4 kilometers. Rajputanas and their families resided in this palace. It is popularly known as the Amer Palace also. After having a complete view of this palace you will drive down to the Nahargarh Fort. It will be a half an hour drive from Amer fort. The meaning of Nahargarh is home to tigers. It is also known as the tiger fort built by Maharaja Sawai Jai Singh 2. The view from the top of Nahargarh Fort is eye- popping. You can gaze all day long from the top view of the fort. There are beautiful scenes of the city from the top of the fort. After having a journey to some splendid forts you will be dropped back to your hotel. Next day be ready for some shopping. Day 3: After having your breakfast you will start with your Day 3. It will be a different and engaging day when compared to other two days. Day 3 will be a shopping day. You will be visitng some of the very popular bazaars of Jaipur. The list includes Johari Bazaar, Nehru Bazaar, Chandpol Bazaar, Bapu Bazaar etc. You will find some wonderful apparel which can just please your eyes. Nearby the bazaars there are small eateries where you can just gorge upon some of the specialties of Jaipur. You can buy some ethnic stuff from the bazaars ranging form bangles to the footwear’s. You can even get some decorative things for your home. It will be a day for shopaholics. After shopping your hearts out you will be dropped back to the hotel. Next day after stuffing yourself with some good food. You will be dropped back at the station/airport. This will sum up your 3 day wonderful journey of the Pink City.